On Wednesday, junior college wide receiver Mike Williams‍ became the 15th player to join Nebraska’s 2018 recruiting class. It wasn’t a huge surprise that Williams is joining the class, as I predicted he would be committing as soon as he told me that he had an official offer from the Huskers back on Sunday. Here are my five thoughts on Williams joining Nebraska. One reason that gaining Williams’ commitment was a big deal is that it gives Nebraska additional flexibility in how it finishes the class. The Huskers now have four recruits committed as wide receivers so if they want to be done at the position for this class they can be. That is unlikely as it seems they will add at least one more, but they also don’t have to “reach” to fill a spot and can continue adding quality to the class. Ryan Held has made another impact on this recruiting class. Held was the lead recruiter and Williams told me he interacted with him the most on the staff. Williams becomes the fifth junior college player to join the 2018 class. Linebacker Will Honas, defensive back Deontai Williams, wide receiver Jaron Woodyard, running back Greg Bell and Williams will all be full participants in winter conditioning and spring ball. That is great news for them because JUCO players don’t come to a school to ride the bench, and getting an early start helps that case. 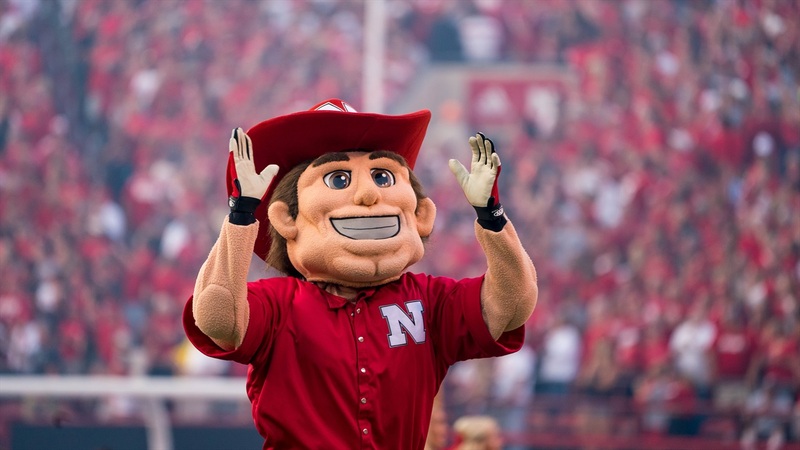 In addition to the five junior college early enrollees, Nebraska also already has quarterback Adrian Martinez, kicker Barret Pickering, offensive lineman Will Farniok and wide receiver Justin McGriff on campus. It’s huge for that group of freshmen to go through the first conditioning program and spring ball with the new staff. For the most part, they will all be on an even playing field with the guys in their position rooms. We could see a lot of new faces contributing in Lincoln next season. It doesn’t take a lot of film study on Williams to see that he has blazing speed. In this offense, you must have players that can take the top off the defense or can take a bubble screen to the house with one good block. Williams is that type of player but he also displays soft hands and has good wiggle. The more speed the better in the Frost era. Right now, Nebraska has four prospects slated to play wide receiver and will probably add one more before February. After Stanley Morgan, JD Spielman and Tyjon Lindsey, there will be a lot of new players in the mix. Woodyard and Williams will surely be in the rotation. McGriff and Legrone will get a chance to prove they don’t need to redshirt. Jaevon McQuitty is working his way back, as is Kade Warner. Keyon Williams didn’t play much either in 2017. There will be quite a few players who haven’t played much or at all for the Huskers running routes next season.